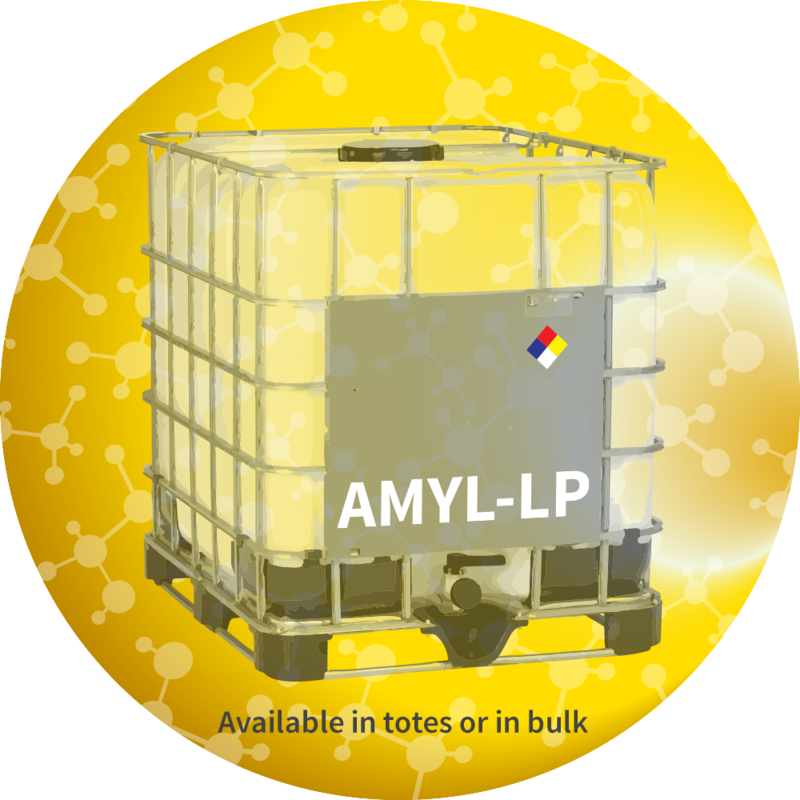 AMYL-LP Product - CTE Global, Inc.
Amyl-LP is an alpha-amylase enzyme effective at lower pH ranges that breaks down starch during primary and secondary liquefaction (slurry and liquefaction). The key enzyme activity is provided by endo-amylase that hydrolyzes (1,4)-alpha-D-glucosidic linkages in starch polysaccharides. At any given solids level, it reduces the Degree of Polymerization (DP) by breaking links between chains of dextrose molecules, while increasing the Dextrose Equivalent (DE). This allows for more complete access to starch molecules by the glucoamylase added during fermentation. AMYL-LP should be dosed at 0.021–0.024% weight enzyme / weight as is corn. The actual dose required will depend upon the conditions of fermentation: time, initial pH, and the level of solids. This product is not a GMO. The enzyme product is manufactured by fermentation of microorganisms that are not present in the final product. The production organisms and the enzyme effectiveness is improved by means of modern biotechnology. The product is available in totes or bulk tankers. Please contact the sales representative for more information. Enzymes are proteins. Inhalation of dust or aerosols may induce sensitization and may cause allergic reactions in sensitized individuals. Some enzymes may irritate the skin, eyes, and mucous membranes upon prolonged contact. See the MSDS or Safety Manual for further information regarding safe handling of the product and spills. The product is produced by fermentation using a nonpathogenic, nontoxigenic microorganism known to be safe. The product is Generally Recognized as Safe (GRAS) for the intended use as a processing aid in the production of fuel ethanol in plants that also produce distiller’s grains co-products (DDGS). The enzyme is nonfunctional in both the fuel ethanol and the DDGS. The product complies with the safety requirements of the US Federal Food, Drug and Cosmetic Act (FFDCA), including non-adulteration and suitability for use in animal feed.